This is a cross post from mSO, but affecting the whole network. 1. is already enabled network wide, 2. and 3. will be enabled shortly on mSE and another SE community (main site + meta) of our choosing for the first round of site-wide HTTPS testing. Read the full master plan! 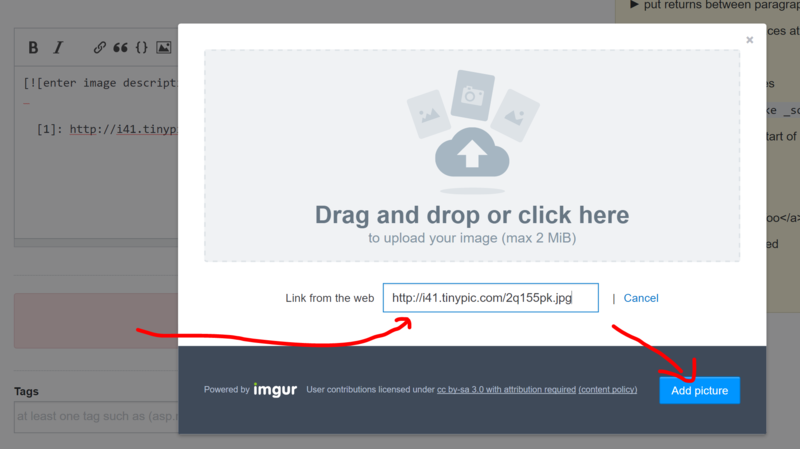 Imgur URLs are converted from HTTP to HTTPS. This will be a HTML baking change, so no Markdown will be affected. This has already shipped, and all the old posts were rebaked. Rebake remaining posts with HTTP images, so that images linking to HTTP addresses will become links - most of those are dead anyway. This will be a HTML baking change, so no Markdown will be affected, but it'll remove any mixed content even when viewing old revisions. Nice work on finally bringing HTTPS support in! Rebake remaining posts with HTTP images, so that images linking to HTTP addresses will become links - most of those are dead anyway. If most of those links are dead anyway, why not go through the hassle once and check if they are actually dead or not. If they are, just remove them! Why would we need to rely on the community to fix one by one if we can do this automated at once? Please make it so that protocol relative URLs (i.e. //foo.bar/fum.png) will still be possible (you write that you will require https:) and are left alone. Is anyone else having problems with imageshack images? They keep coming back with failures. I've written the following snippet (also posted at Help us fix broken images!) to filter and return the Crowdcrafting tasks by site. It currently returns up to 100 tasks (the maximum the API allows). It looks like a lot of sites have fewer affected posts than that, there's no instant way to get further posts for the ones that do though. It is possible to paginate results through the API (see the last note here), so maybe I'll look at adding that later. I've included links to the SE post (both view and edit links) and the Crowdcrafting task page so that you can hit "Done" on the task, which should eventually get you more tasks (it takes 2 "Done"s to remove the post from the queue I believe). It would be nicer if someone can write a SEDE query that can find old posts that need fixing - i.e. posts with non-stack.imgur images included. And also, while we're here, it would be nice if you guys could eliminate dependences to profile images from cdn.facebook and other trackersy domains. I just decided to try the crowdcrafting.org link in the question above, and the first task I received contained a link to https://meta.security.stackexchange.com/questions/227. Obviously, that's not going to work (unless I edit the URL or manually add a security exception for the invalid certificate), since it's still using the old meta.security hostname. I guess that something that should be fixed? Also, it turns out I can't handle that task anyway, since I'm 22 rep points short of having edit privileges on security.SE meta. But that's not really something the crowdcrafting site could possibly know. 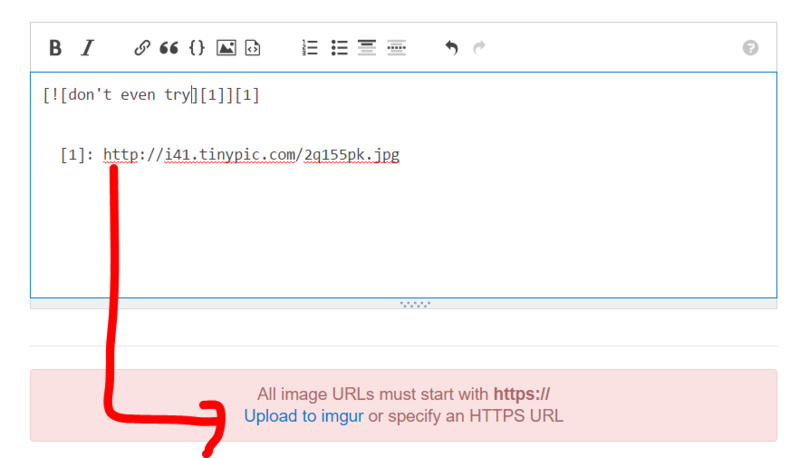 I found a bug: First task I got was http://security.stackexchange.com/questions/17393 which was complaining about an img tag which was in backticks so it wasn't actually an image. This img tag doesn't need fixing, but it ended up in the queue. Not the answer you're looking for? Browse other questions tagged discussion images ssl . Did something change in SEDE's data? Help us fix broken images! If an account gets hijacked and used for posting illegal material, will Stack Exchange be willing to cooperate with local attorneys? Does the community user only edit http to https? How is the roll-out of HTTPS images going?